There’s no way to soften this particular blow for fans of former Suits actress and soon-to-be-royal Meghan Markle – she’s officially shut down all her social media accounts. Kensington Palace, in a statement, confirmed that Meghan has shut down all three of her social media accounts – Instagram, Twitter and Facebook. “Ms Markle is grateful to everyone who has followed her social media accounts over the years, however as she has not used them for some time, she has taken the decision to close them,” the statement read. Which is not exactly untrue – Meghan’s last and final post on Instagram was almost nine months ago, in April 2017, when she announced that she was shutting down her lifestyle blog, The Tig. Before that, her social media accounts were a delightful mix of her pet dogs’ photographs, occasional selfies and humanitarian trips around the world as a UN ambassador. Still, even though they were largely dormant, at least there was hope that as long as they existed, there was a possibility that every once in a while, we’d be treated to tidbits from her life. But this announcement has an air of finality we weren’t yet prepared for, even if it was expected, ever since the couple announced their engagement in November last year. While this move isn’t surprising – none of the British royals have their personal social media accounts – it is still a massive disappointment. If there was one person who could have been expected to break away from tradition, it is Meghan, given her unconventional choices so far. Her choice of a partly sheer dress for the official engagement portraits with Prince Harry, shared by Kensington Palace’s accounts, no less, did raise surprised and delighted eyebrows. Not to mention the rumoured choice of designer for her wedding dress – Israeli designer Inbal Dror, known for decidedly more daring bridal gowns than what most British royal brides have chosen for their wedding days. The move also came on the heels of Meghan and Prince Harry’s second official royal engagement together, at community radio station Reprezent, in Brixton. 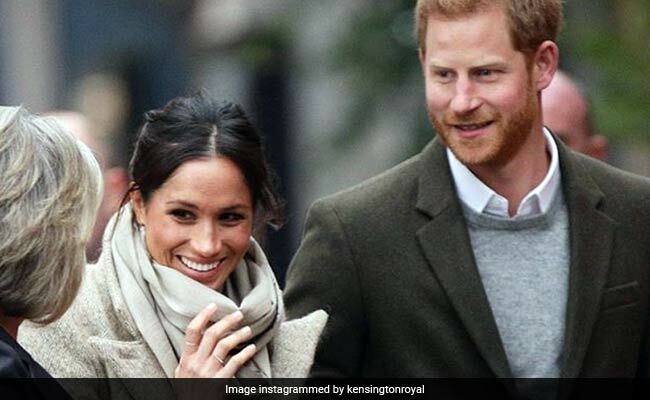 And while the couple may have won the hearts of well-wishers who gathered to see them, and the station employees – with Prince Harry’s deference to Meghan on questions of gender and equality -the decision to close down is still a bitter pill to swallow for her 1.9 million Instagram followers, 350,000 Twitter followers and 800,000 likers of her Facebook page. Women, Indian girls especially, are no strangers to it. For centuries, we’ve been cajoled, pressured, and even ordered to give up big chunks of our identities to fit into the lives of the men we marry and the families we join. In some communities, tradition and rituals even require a woman to give up her first name once she marries, because she’s now taking on a new identity as a married woman. But it’s 2018 and with an increasing number of women choosing not to take on their husbands’ last names; and women fighting for the ridiculously sexist ‘husband/ father’s name’ requirement to be dropped from official forms, we thought that the tide was finally beginning to turn. Clearly, there’s still a long way to go on that front. Even when you’re Meghan the-world-loves-me Markle, you’re sometimes required to sandpaper away the grainy parts of your personality and smooth out the jagged edges to fit into a PR-approved narrative of what a power couple looks like. And says. Never mind that you’re a powerful woman in your own right and an outspoken feminist, sometimes you need to give up a part of your identity to marry your prince. So in the unlikely event that Meghan decides to revive her online presence, we’re all going to have to make do with palace-approved photos from official accounts. Sigh.